Why Leave GVEC an Online Review? 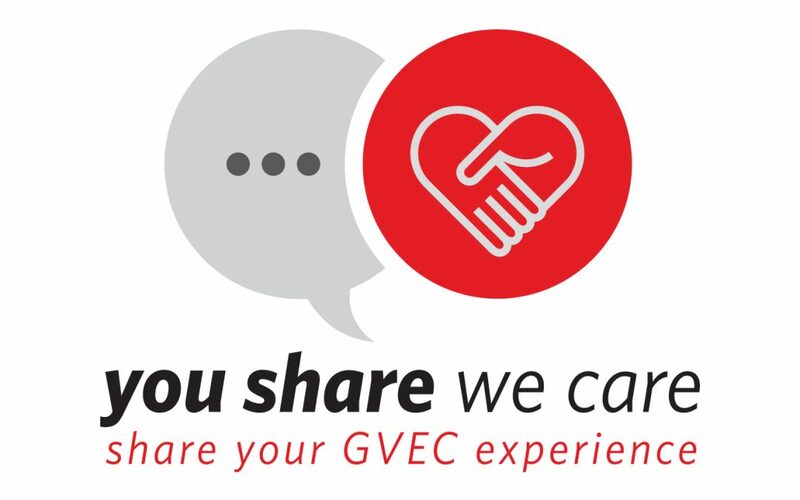 At GVEC, our success in delivering the unexpected, in exceeding expectations and in improving lives isn’t possible without the support of the communities we serve. That’s why we’re asking our members and customers to leave GVEC an online review or a simple rating, thereby helping spread the word about us. Your five-star feedback can have a huge impact in helping us make a difference in the communities we serve, while enabling us to improve and grow as a cooperative. You can leave GVEC an online review quickly and easily, without giving detailed comments—merely, in the least, a star-based rating. How Do I Leave GVEC an Online Review? 3) Click the review platform on which you’d like to rate or review GVEC. You can choose from Google, Yelp, Angie’s List and Facebook. If you choose Google, you’ll click on one of GVEC’s locations. We recommend you rate us on Google and/or Facebook. To do so, you’ll need a Google Gmail account and/or a personal Facebook account. 4) Once you choose a review platform, simply rate us by choosing 1-5 stars. Below the star rating, you can also provide written feedback. Although we’d appreciate hearing specifics about your GVEC experience, it’s certainly not necessary.